The European Coatings CONFERENCE "Functional coatings” will focus on the different practical applications of coatings possessing various functionalities and present new developments in the materials employed in this field. 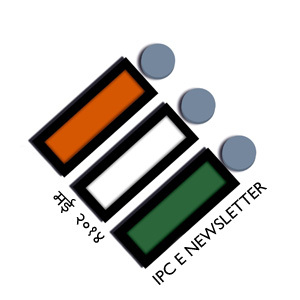 Welcome to the May 2014 edition of the IPC e-newsletter. The IPC e newsletter is distributed free to more than 4000 people around the world. The workers of Asian Paints' Sriperumbudur plant has called off the strike and resumed work from today, after 124 days of strike. A union member said that while the strike has been called off and a settlement has been arrived at, the union would be moving legally demanding their salary for the last 124 days along with the salary portion allegedly deducted earlier by the management for not meeting the targets. Asian Paints Ltd today informed the Bombay Stock Exchange, "The Asian Paints Employees Union, Sriperumbudur and workmen have ended the strike and resumed work from April 23, 2014". The company, on December 20, 2013, informed the Exchange that the the operation of the Company's plant situated at Sriperumbudur, Tamil Nadu shall be affected due to the strike called by Asian Paints Employees Union, Sriperumbudur and workmen with effect from December 20, 2013. Leading paint manufacturer Kansai Nerolac Paints Ltd has launched High Definition (HD) paint technology in the country. Nerolac Impressions is the first range in this HD colour technology. To showcase the new product and its value proposition, Kansai Nerolac has unveiled a campaign comprising a breakthrough TVC and a digital campaign featuring its brand ambassador Shah Rukh Khan. 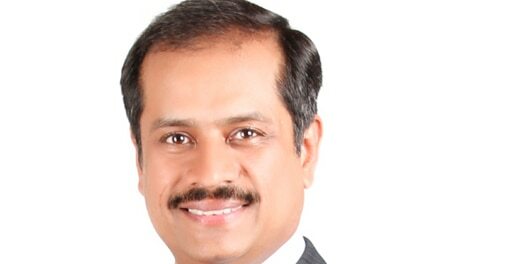 Mumbai: Asian Paints Ltd, India’s largest paint company, on Tuesday said that its wholly-owned subsidiary, Asian Paints (International) Limited, had acquired 51% equity share capital of Ethiopia-based Kadisco Chemical Industry PLC. “Asian Paints (International) Limited, a wholly owned subsidiary of the Company on 14 April 2014 has signed an agreement with the shareholders of Kadisco Chemical Industry PLC to acquire either directly or through its subsidiaries, 51% of the equity share capital of Kadisco” the company said in a statement. This acquisition is subject to applicable regulatory and other approvals. Kadisco is engaged in the manufacturing and selling of paints, other coatings and adhesives in Ethiopia. Kerala Minerals and Metals Ltd (KMML), Chavara, has made a record turnover in production and sales. It made a profit of Rs 30 crore during the last fiscal. According to sources in KMML, the company, which had been going through a crisis following a sharp decline in the price of its main products such as Titanium Dioxide pigment and lack of availability of ilmenite in the past years, however, made a record turnover in the Mineral Separation (MS) plant, Titanium pigment plant and titanium sponge unit during the last fiscal. AkzoNobel’s Powder Coatings business has launched an innovative two-coat, one-bake powder coating system which offers customers significant productivity and energy efficiency improvements and can also result in lower capital investment. Utilizing dry-on-dry coatings technology, Interpon Align delivers superior edge coverage and corrosion performance, while eliminating one full cure cycle. The result is a shortened coating cycle leading to improved productivity and, in some cases, reduced capital investment. Soon after Sameer Nagpal joined Shalimar Paints, he realised that the paints company, promoted by the Jindal family, and which has changed ownership three times in 112 years, needed a complete overhaul. Nagpal decided that from a company that mostly makes protective paints, mainly used in premiering walls or in factories and machineries, it needed to get into the consumer segment like its rivals Nerolac and Asian Paints. The reason was simple: the enterprise business was not growing while the consumer business was booming, and Shalimar Paints was left as a struggling company in this changing consumer landscape. United Metal Coating have a continuous Coil Coating Line in Dubai Industrial City and it manufactures pre-painted aluminum and galvanized steel coils in various thicknesses and widths with an annual production capacity of 75,000 tonne for the end application of building products including roofing and claddings, as well as interior false ceilings and rolling shutters. As a part of its backward integration UMC have decided to install a 300,000tpy CRM Complex in Abu Dhabi. For this purpose a new company has been formed in the name of United Iron & Steel Company LLC which will produce HR and CR galvanized coils and sheets. DYO Boya, one of the leading paint producers in Turkey, owned by Yaşar Holding, has opened a new plant to produce powder coating in the Aegean province of Manisa. The plant was opened with an investment that will reach 25 million Turkish Liras when the project term is completed. DYO Boya aims to be one of the arbiters in the powder coating market dominated by foreign companies, as Turkey is the 3rd largest producer in Europe after Italy and Germany. The company targets European, the Middle Eastern, Russian and Northern Africa markets. 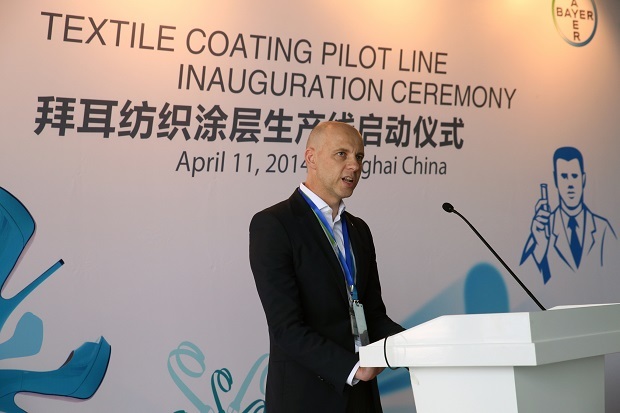 Bayer MaterialScience, the leading polymer company, has inaugurated its state-of-the-art textile coating pilot line in Shanghai, China. At its headquarters in Leverkusen, Germany, the company has also installed new lab facilities, among them a lab coater. Along with the dedicated lab space in Pittsburgh, USA, these new investments are expected to allow Bayer to further strengthen its capabilities in the coated textile sector. The global demand for environmentally friendly synthetic leather and coated textiles is expected to grow strongly, according to the company. 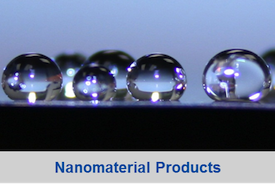 The increase is expected to be felt most prominently in China, home to 90% of the world’s production of these materials. By moving the global product development and the lead for application development for textile-related products to China, Bayer is supporting this change. The global market for high-performance and specialty pigments is valued at $4.26 billion, and 161,000 tonnes, for 2013. Smithers Rapra forecasts an annual growth rate of 2.7% over the next five years to reach $5 billion, and 189,200 tonnes, by 2019. The Future of High Performance and Specialty Pigments to 2019 provides strategic forecasts to 2019 broken down by pigment type, end use and geographic region and country, along with details of the latest technology trends, key market drivers and leading suppliers. This report is the essential and comprehensive guide to this thriving industry. Alans BMX of Wigan has today announced a powder coating service, available from just £20 collected and delivered. Standard frame, fork and bar set costs from £100 and for a frame on it’s own the service costs from £55. In due course, Alans will also offer welding and other repair services. BASF has invested Euro 2.5 million in its Demarchi coatings site, located in the state of São Paulo, Brazil, to expand its capacity to service Brazil’s automotive industry with waterborne automotive coatings. An ASTM subcommittee is developing a proposed standard to test the slip coefficient properties of coatings used in slip-critical bolted connections. The test is based on an appendix in the “Specification for Structural Joints Using High-Strength Bolts,” published by the Research Council on Structural Connections. The proposed ASTM standard will expand on the Research Council standard by describing the preparation of test specimens in detail and by conducting an interlaboratory study that will allow for the inclusion of precision and bias statement. Valspar High Performance Architectural Coatings is pleased to announce the launch of its new website – valsparcoileurope.com. The new site makes it easy for professionals in the coil coatings industry to learn about new technologies and coating innovation, as well as research and select from among Valspar's industry-leading metal architectural coatings for their projects. The purpose of a quality control is two-fold. First of all, it provides a check on performance, ensuring that the product shipped to your customer meets their requirements and secondly, it is a means to ensure that you are producing a consistent powder, batch to batch. eventually adjusted near the end to meet quality requirements (i.e. shade, viscosity, etc. ), powder coatings are very difficult to adjust toward the end of manufacture. The utmost in care must be taken to make sure the batch is correct right from the start. Consequently quality control really should emphasize raw material and process control rather than assessing properties after the batch is made. Component cleaning has now established itself as an indispensable step in the manufacturing process. In addition to defined particulate orfilm residue requirements, economic and ecological aspects also need to be taken into consideration. This frequently requires investment in technology for industrial parts and surface cleaning. At the same time, companies across all sectors are faced with the question of how to achieve the required level of cleanliness in a stable and sustainable way at the lowest possible cost and how to ensure that this cleanliness is maintained until the next process step or until delivery to the customer. “The extensive range of products and services at parts2clean enables users to find out detailed information about various solutions for the range of tasks involved in component cleaningand to make informed decisions,” explains Olaf Daebler, director of parts2clean at Deutsche Messe. As at mid-March, around 200 companies from 12 countries have already registered to take part in the 12th leading international trade fair for industrial parts and surface cleaning in Stuttgart from 24 to 26 June 2014. With the bilingual Expert Forum, parts2clean is one of the most in-demand sources of knowledge when it comes to expertise on industrial parts and surface cleaning. “The Fraunhofer Cleaning Technology Alliance is responsible for technical coordination of the program, which covers various areas of cleaning technology,” reports Daebler. “A total of 30 speakers will be giving presentations on everything from the basics to specialist issues.” All presentations will be simultaneously interpreted (German<> English). The four presentations in the first session on Tuesday (24 June) focus on the topic of “Process and engineering knowledge”. This includes presentations on knowledge-based process control in industrial parts cleaning, the selection and positioning of nozzles for spray cleaning, the performance range of modified alcohols and the design of workpiece carriers for individually positioned parts. The afternoon program is organized by theFachverband industrielle Teilereinigung e.V. (FiT) and features theQuality Podium. Thisincludesfive presentations on process chain analysis asan approach for avoiding errors, with possible solutions being shown and best-practice applications presented. The session concludes with a podium discussion of the topic: “Knowledge transfer and competence – supply and demand”. On the second day of the trade fair, the morning session focuses on cleaning processes, pre-treatment and coating. Topics addressed include current trends in precision cleaning with ultrasound and potential applications for laser beam cleaning in the automotive and motor vehicle industry. Entitled“Needs-based deburring with the right process”, the afternoon session will see speakers present a variety of deburring solutions as well as their possibilities and limitations. On the third day, the Expert Forum begins with a series of presentations on the maintenance and preparation of cleaning baths. The program includes presentations on avoiding component waste through efficient wash water treatment and on measured value surface tension for the control and management of the surfactant effect in parts cleaning. The afternoon session looks at methods for particle contamination, with presentations on a variety of topics,including systematic manufacturing analysis in order to reduce waste due to contamination, real-time measurement of particle agglomeration on surfaces, and VDA 19,the set of regulations on checking technical cleanliness, the new edition of which is in the final stages of completion. In parallel to parts2clean, O&S (international trade fair for surface treatments and coating), LASYS (international trade fair for laser material processing) and the AUTOMOTIVE Expo will take place at the Stuttgart Exhibition Centre from 24 to 26 June 2014. For more information, the complete Expert Forum program, the range of exhibits and the provisional list of exhibitors, visit www.parts2clean.de. Mrs. Rishma Kaur and Mr. Kanwardip Singh Dhingra have resigned as Alternate Directors of Berger Paints India Ltd to Mr. Kuldip Singh Dhingra and Mr. Gurbachan Singh Dhingra respectively with effect from April 01, 2014 in order to comply with the provisions of Companies Act, 2013. They will continue as whole time employees of the Company. Valspar Mirror Coatings named Petra L’Abbe as its new business director, Global Mirror Coatings. Michael Seidler, Valspar's current business director of Global Mirror Coatings, will support L'Abbe over the next several weeks in order to transition the position to her and the Global Mirror Team before leaving the company to pursue alternative opportunities, according to Valspar. Hong Kong, Apr 23, 2014 - (ACN Newswire) - Connell Brothers (CBC), a division of Wilbur-Ellis Company, and the largest marketer and distributor of specialty chemicals and ingredients in Asia-Pacific, has appointed Dr. Ralf Busch, former vice president responsible for Know-How Transfer, Asia-Pacific, within the Bayer MaterialScience polyurethane business group, to lead the strategic direction and expand the business operations of CBC China. The company operates in 11 cities in China.